The time has come to tell you about that last ingredient of The Roller Coaster Kid (Viking). The element that binds it all together. No, no one in the book dies in an amusement park. I live near a Major Theme Park, which has had it's share of Unfortunate Incidents. 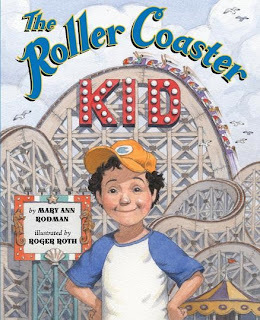 When my local friends ask me what my new picture book is about, I have learned not to answer "Death and roller coasters," because one of those Unfortunate Incidents did involve a death on one of the "super" coasters. The heart of The Roller Coaster Kid, is learning to face fear, whether it is of riding a roller coaster, or the death of a loved one. Publisher's Weekly put it much better than I can. "When the time is right, you'll face your fear," Zach's grandmother tells him as they ride the Ferris wheel, after he refuses to ride the Whipper roller coaster with Grandpa. (This) moving story of grief and intergenerational ties, then skips ahead a year; "Everything's different. Grandma's gone. Forever." . . . Rodman gives the story just the right measure of emotion...while underlining the importance of mourning and communication. incidents in Jimmy's Stars came from his own WWII experiences.) We bonded when I discovered that he grew up ten miles from my mother, at about the same time. We were deep into swapping Pittsburgh memories when he said, "Say, have you ever heard of West View Park?" (See Monday's post for West View Park.) The story that Grandpa tells in the opening pages of The Roller Coaster Kid is Mr. Baldwin's own story. The only difference is that his experience with West View Park's Dips occurred when he was a teenager; in the book, Zach's Grandpa is much younger. Death. What about death? I'm getting to that. It was around this time that death cut a swath through my parent's generation. Mr. Baldwin's wife. Both of my in-laws. My mother. People were comforting at the funerals, rarely at a loss for words. But in the days to follow, I noticed that people seemed ill at ease with those left behind. I particularly noticed that no one wanted to talk about the person who died. As a high school librarian I attended far too many student funerals. Their classmates wanted to talk about the friend who was gone forever. Students would gather in the library to share memories, personal, poignant, even silly. The more they talked, the better able they seemed to deal with their loss. I lost two grandparents (one from each side of the family) within six months, the year I was nine. I was told over and over that talking about Maga and Pawpaw would make my parents, or my surviving grandmother sad. I was an adult before I felt comfortable talking to my parents about their parents. 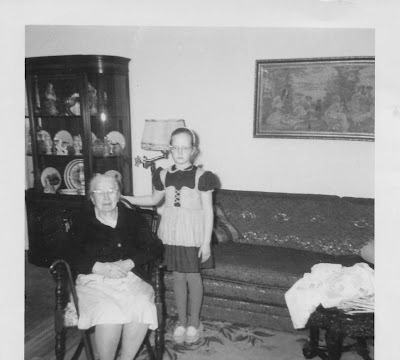 As a nine-year-old, I was lucky to have literally dozens of cousins, more or less my age, with whom I could share my memories, and they could do the same. As the cousins talked, we not only eased our own pain, but learned new things about our grandparents from each other. I don't claim to be any kind of psychologist or grief counselor. Like everything else I write, I write from my own experience. Zach's desire to cheer up Grandpa came from my own third grade desire to cheer up my parents. Zach's story ends the way I wish my own had. Roller coasters. Fear. Death. Communication. Those are ingredients that simmered in that mental crock pot for several years before I realized there was A Story In There. No discussion of The Roller Coaster Kid should not end without giving illustrator Roger Roth's work a tremendous shout out. When I envisioned the setting for this book, I saw West View Park, plopped down on the site of Myrtle Beach's Pavilion. Roger Roth took the sea motif and ran with it in ways I could never imagine (which is why he is an illustrator and I am not!) Not only did he capture the atmosphere of an old-timey amusement park (think of the original Coney Island parks), he made Zach and Grandpa mirror images...fifty years apart. Each time I look at the book I see some detail I missed before. I wish I could visit Oceanside Park and ride the Whipper . . . if only it existed. 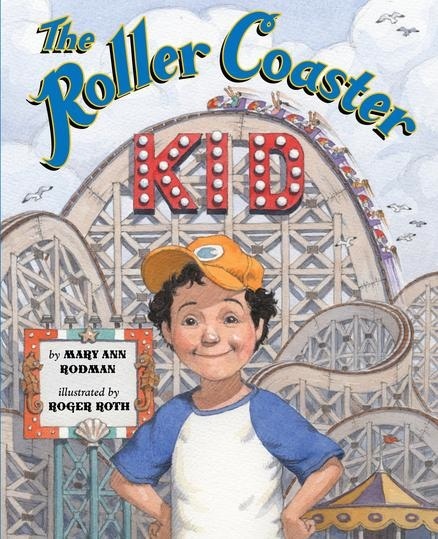 Don't forget to enter our Book Giveaway for an autographed copy of The Roller Coaster Kid. (See Monday's post for entry rules. Please remember: if you are entering via a comment, you must comment on that blog post. Or you may enter via email, as explained Monday.) The deadline is 11pm (CST), Wednesday, July 25. P.S. Mr. Baldwin is still the Roller Coaster Kid. He enjoys traveling, and somehow, wherever he goes, he manages to find a new roller coaster to ride. 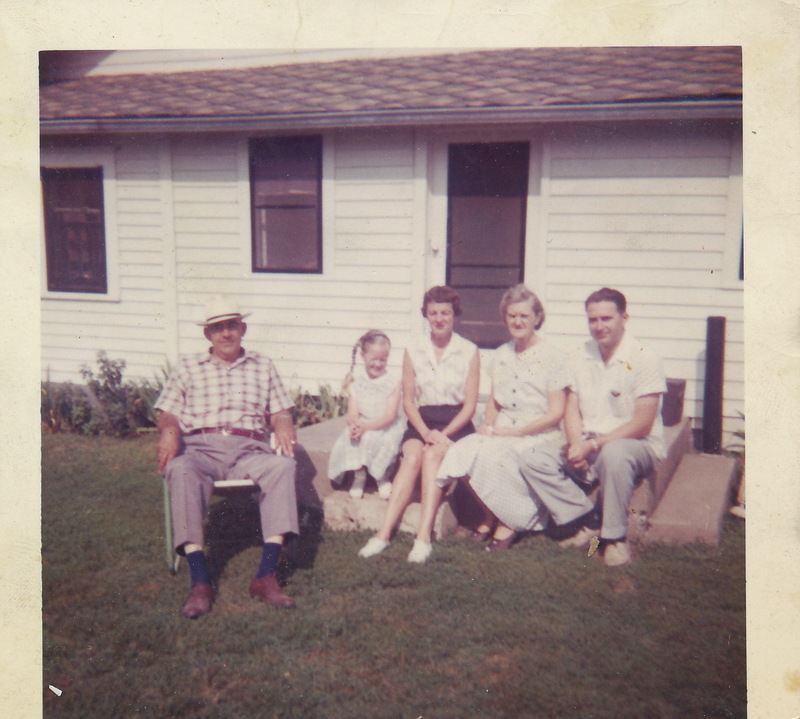 When I lost my parents, I relished in the wonderful stories about them. I think the loved one who passes needs to be talked about and good memories need to be shared.